2016 had its off the shoulder tops; 2017 will have its statement sleeves! Statement sleeves are an easy way to instantly add a bit of a flair to any outfit. 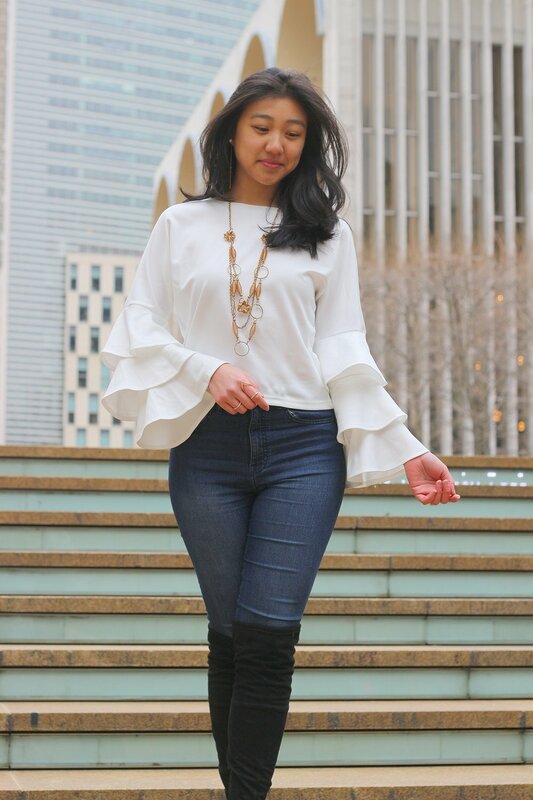 This ruffle sleeve top is perfect for dressing up a pair of jeans or layering underneath a cute dress. When just worn with jeans, I added a big necklace to complete the look. I also found this adorable ruffle jumper from H&M, which I thought would complement the ruffle sleeves on the top. Can't believe tomorrow is already Monday again, but I'm ready to tackle this week head on (armed with iced coffee #duh)! Hope everyone has a fantastic week ahead!